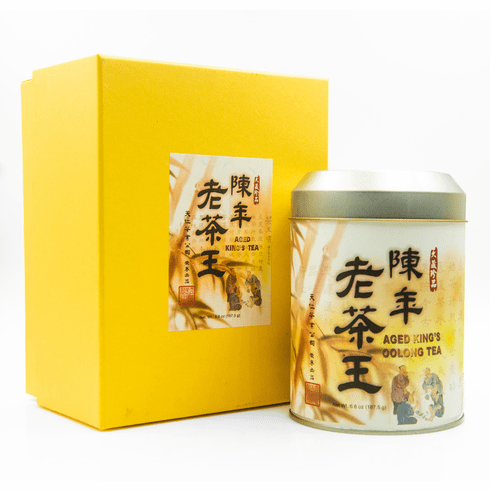 TenRen's Aged King's Tea comes in a beautiful metal canister that contains 6.9 oz (187.5 g). This tea starts with a high grade of Dark King's Ginseng Oolong which is then aged for at least 10 years, making it very rare. When brewed, it has a golden brown color and a faint roasted aroma with sweet undertones. It has a sweet and lightly roasted flavor with a very faintly roasted aftertaste.